Having crossed from South America, we commenc our journey in Antarctica, finding the ice and snow cover in pristine condition. Penguins are returning and busy establishing their rookeries. Seals are on the move and busy feeding as the sea ice breaks up. Early season, whales are starting to return. 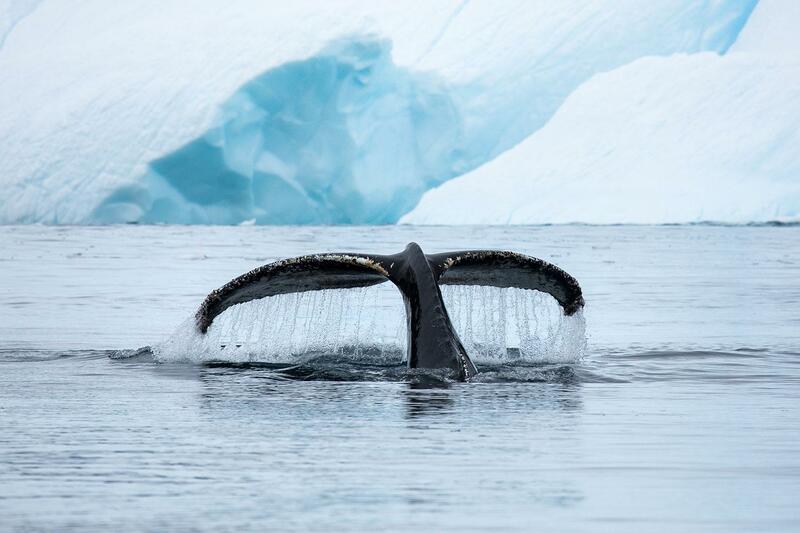 Several of the most important historic sites in Antarctica feature on this voyage, including Deception Island, Elephant Island, Stromness and Grytviken.The early season also marks the beginning of the wildlife migration and commencement of the breeding cycle. 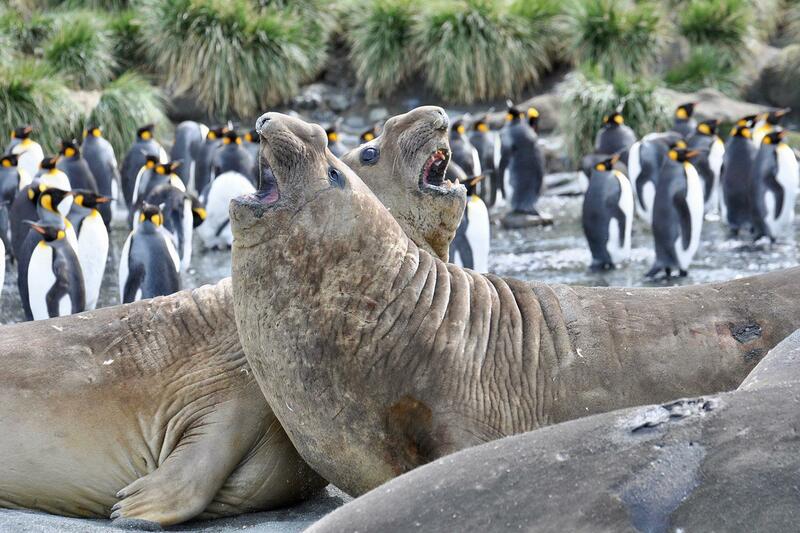 In South Georgia, scenes of male elephant seals battling for control of the beaches (and the female harems), and the intimate and beautiful courtship rituals of the albatross, will have you believing you are ‘on the set’ of your very own wildlife documentary. Indeed, it is no surprise that many of the famous wildlife documentaries of the region are filmed at this time of year. There is just so much going on! This trip commences in Punta Arenas (Chile). 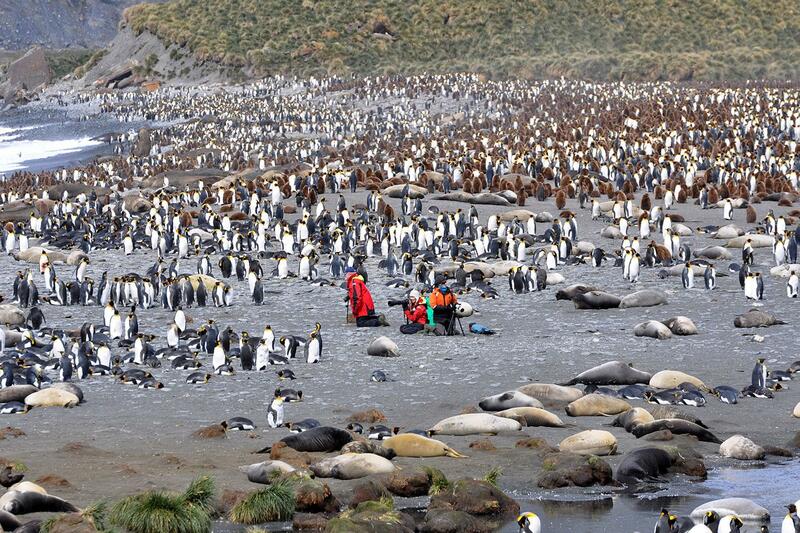 We recommend arriving in Punta Arenas at least one day prior to the scheduled voyage departure. This gives you a buffer in the event of any unexpected travel delays between home and voyage embarkation. Here we board our expedition ship, charting a course for Antarctica. At the conclusion of the trip, we fly from Stanley (Falkland Islands) to Santiago (Chile). A transfer is provided from the airport to a central downtown location. This return flight arrives in the late afternoon and onward international flight connections may be possible. Book and deposit before 31 January 2019 and save a flight credit of US$1000 per person (or equivalent currency). In addition, we will include a complimentary pre-voyage hotel night combined with an onboard US$50 dining/spa credit. This voyage is specifically timed to coincide with the arrival of spring as the region emerges from the long and frigid winter. 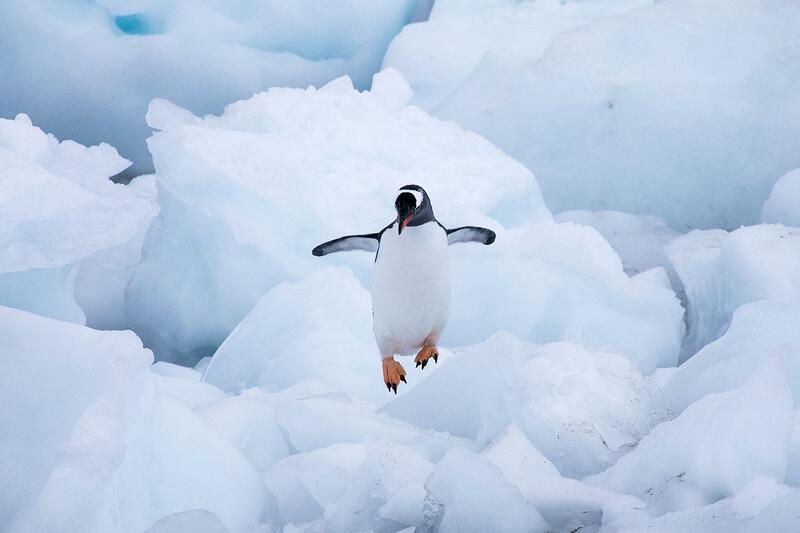 This is an incredibly dynamic time to experience the Antarctic eco-system. 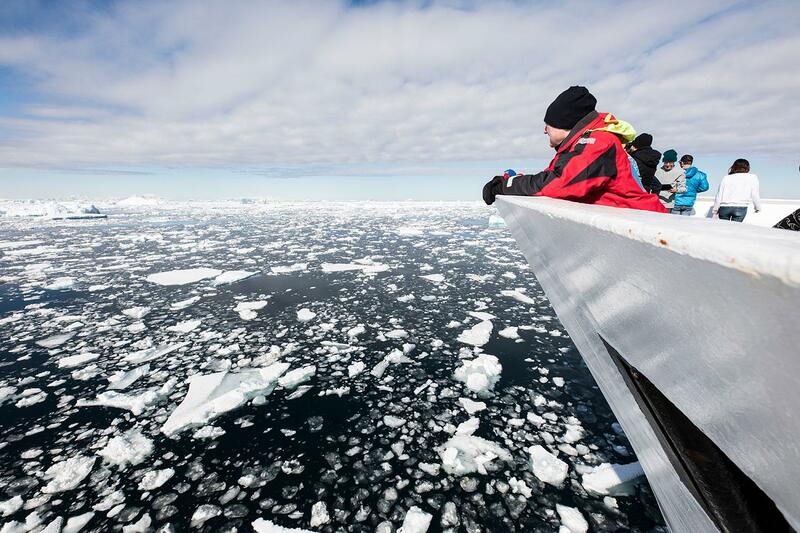 It is our most far-reaching polar expedition and includes visits to three different locations. Over 19 days you will explore on shore in the company of expert guides – including naturalists, marine biologists, ornithologists and adventurers, as well as our resident photography professional. Cruising in our inflatable Zodiac boats is another memorable activity. DAY 1 / PUNTA ARENAS (CHILE) Our journey commences in the southern Chilean port city of Punta Arenas. We gather at a central meeting point and transfer to the wharf where we embark our expedition ship. After settling in to our cabins and exploring the ship, we meet the expedition team and fellow passengers. Excitement is in the air and we enjoy a welcome cocktail and dinner. We chart a course through the Straits of Magellan and are on our way, bound for Antarctica – and what promises to be an incredible adventure. 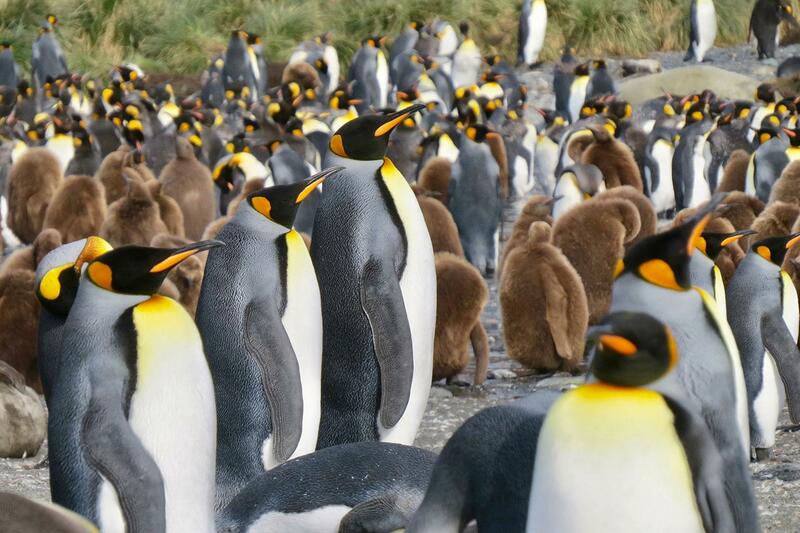 DAYS 2-3 / AT SEA – TOWARDS ANTARCTICA The Drake Passage is rich in bio-diversity and showcases a great abundance of wildlife. 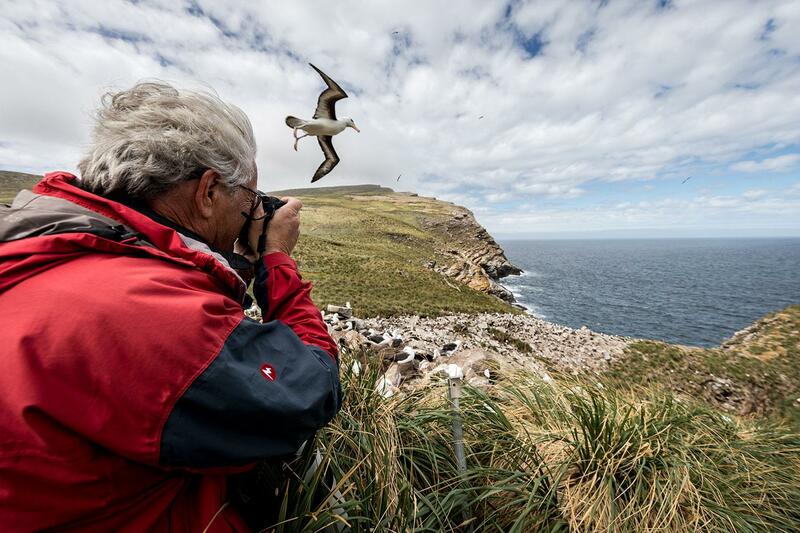 We will be joined by hundreds of seabirds including the wandering albatross. Giant petrels and smaller Cape petrels are also constant companions as make our way south. Photographing these magnificent birds takes patience and skill and our photography expert will be on hand to show you the best techniques. Join the ship’s Captain on the bridge and learn about the operations of our modern expedition vessel. Throughout the day our onboard experts educate us with a series of presentations about the environment, the wildlife and history of the locations we hope to visit in the coming days. As we approach the coastline of Antarctica, we encounter more icebergs and anticipate our first whale sightings. DAYS 4-6 / SOUTH SHETLAND ISLANDS AND ANTARCTIC PENINSULA Excitement is in the air as the magnificent snowy peaks of the South Shetland Islands are laid out before us. Depending on ice and weather conditions, we enter the South Shetlands via the McFarlane Strait, with an objective of Half Moon Island, or nearby Yankee Harbour. Arriving on shore, a sizeable rookery of chinstrap penguins act as a very noisy welcoming committee and we hope to observe our first substantial elephant seal colony here. There are some good hiking options along the rocky beach to a high point. Otherwise observe the chinstraps at close proximity as they establish their nests. Overnight we cross the Bransfield Strait and are now along the coastline of continental Antarctica. Our itinerary is deliberately flexible to account for early season ice conditions, and to take advantage of optimal snow conditions at several of our favourite landing sites. Our planned exploration starts in the vicinity of Mikkelson Harbour and neighbouring Cierva Cove – both beautiful locations and the perfect introduction to Antarctica. Both spots provide excellent Zodiac cruising and it is fascinating to observe the very beginning of the penguin breeding cycle and the courtship rituals that take place. We keep our eyes out for the powerful leopard seal, which we frequently find hauled out on the icefloes around here. We continue our journey and are now on our way to Antarctic Sound - the gateway into the icy Weddell Sea. Depending on the seasonal ice conditions, we visit a number of outstanding locations on the way into the Weddell. Our plan is to sail the ship into the flooded volcanic caldera at Deception Island. This is a very dramatic place and history is all around us as we explore the old whaling station, with the rusted old boilers and dilapidated wooden huts. At the far end of the beach is an old aircraft hangar. This is where Australian, Sir Hubert Wilkins, made the very first flight in Antarctica in 1928. There is also an outstanding hike, high up onto the rim of the crater. The Aitcho Islands provide some great hiking routes showcasing the colourful mosses and lichens found on the island. Gentoo and chinstrap penguins nest here and on the beaches, we usually encounter seals coming and going from the surrounding waters. Fort Point situated on Greenwich Island is another possible location for a visit. 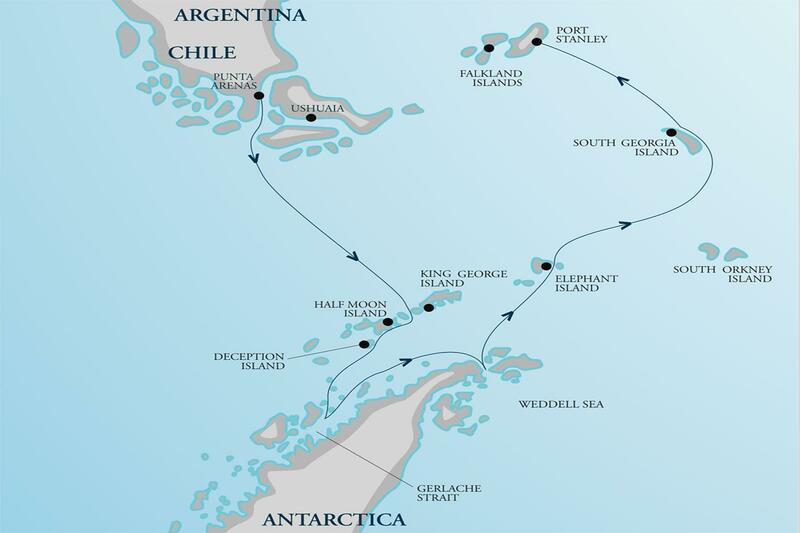 DAYS 7-8 / ANTARCTIC SOUND, WEDDELL SEA AND ELEPHANT ISLAND Our next objective is to enter the icy Weddell Sea, through the broad channel that separates the continent of Antarctica from Joinville Island. At first, we are awe-struck by the sheer size of the tabular icebergs in this area and their presence always makes for exciting navigation on the ship. This region is also home to some of the largest Adelie penguin rookeries found in Antarctica. After several busy days of exploration along the Antarctic Peninsula, South Shetlands and Antarctic Sound, we head for Elephant Island – a location forever connected to the story of Sir Ernest Shackleton and the HMS Endurance expedition a century ago. On the windswept north coast, exposed to the swells of the South Atlantic is Point Wild. It was here that Shackleton and his exhausted men camped under their upturned boats more than a century ago – pondering their chances of survival. Shore landings here are often notoriously tricky due to strong winds and pounding surf on the rocky beach. This is a thrilling location for anyone with a passion for polar history. DAYS 9-11 / SCOTIA SEA – TOWARDS SOUTH GEORGIA As we depart Elephant Island we cannot help but ponder the journey made by Shackleton and his four companions – as they attempted the near impossible – navigating 800 nautical miles in a 30 foot converted lifeboat across the tempestuous Scotia Sea to South Georgia. We make a much easier time of the crossing in our modern expedition ship. Onboard experts keep us busy with fascinating presentations and lead lively discussions throughout the day. The great pelagic seabirds are sure to keep us company – and we anticipate excellent sightings of albatross and giant petrels soaring on the winds of the South Atlantic Ocean. Anticipation builds as the mountainous peaks appear on the horizon, marking our arrival at South Georgia. DAYS 12-14 / EXPLORATION OF SOUTH GEORGIA We spend the next three days exploring the coastline of South Georgia. Dark sand beaches, tussock covered hinterland and a backdrop of towering peaks and glaciers are a feast for all the senses. South Georgia has often been called the greatest wildlife show on Earth. 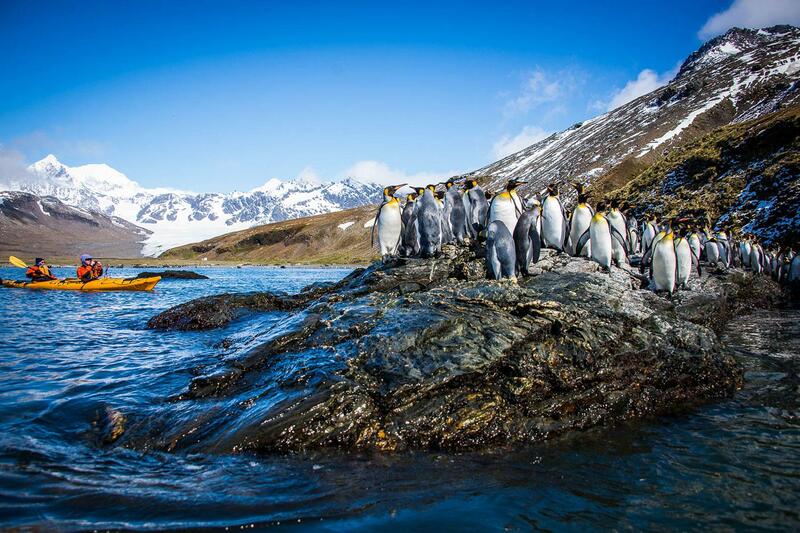 Seals cover the beaches, seabirds fill the skies and living in rookeries of immense sizes are the majestic king penguins. Our aim is to visit a number of these vast colonies – where naturalists estimate that more than 100,000 adult and juvenile penguins live in close proximity. Locations could include Gold Harbour, Royal Bay, St Andrews Bay and Salisbury Plain. Dotted along the coastline are the rusting relics of the early whaling era. The largest of these locations is Grytviken. Here we find a fascinating museum and a beautifully restored Norwegian Lutheran Church. Adjacent to the old whaling station lies a small cemetery. This is the final resting place of Sir Ernest Shackleton – who was laid to rest here in 1922. For many onboard, being in the presence of the great polar explorer is a highlight of the trip. We continue our journey along the coastline, hoping to visit Stromness – another former whaling station – and the final destination of Shackleton and companions Frank Worsley and Tom Crean, having made the near impossible traverse across the interior of South Georgia against all odds. DAYS 15-17 / AT SEA – TOWARDS THE FALKLANDS By now we are in sensory overload, our cameras full of images and our journey towards the Falkland Islands commences. The spectacular seabirds, including several albatross and petrel species, are our constant companions soaring above the ship. The onboard educational program continues, and our experts recap our remarkable journey to date. These days provide a good opportunity to catch up on journal entries, sort through your images at the multimedia station and catch some rest after a busy two weeks of activity. DAY 18 / FALKLAND ISLANDS We wake to the sight of landfall in the Falkland Islands. Approaching Sea Lion Island, we first note the very barren and windswept landscape, exposed to the prevailing weather that originates in the Drake Passage. We launch the Zodiacs and go ashore to view the incredible diversity of wildlife found at this location. 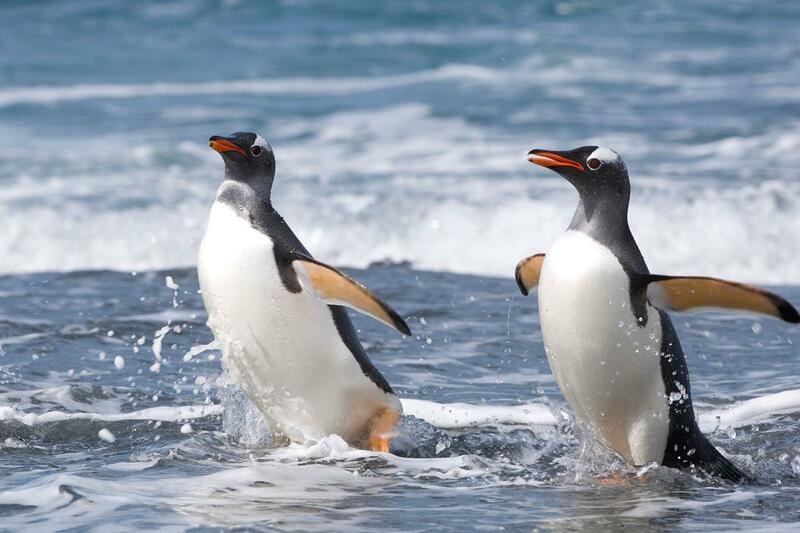 Three species of penguin including gentoo, Magellanic and rockhopper, as well as southern elephant seals and South American sea lions, are known to inhabit the area. King cormorants and striated caracaras are just some of the bird species we expect to see. As we cruise along the coast of the Falklands, bound for Stanley, we enjoy a special dinner attended by the ship’s Captain. DAY 19 / ARRIVE STANLEY (FALKLAND ISLANDS) – VOYAGE CONCLUDES – FLY BACK TO SANTIAGO (CHILE) This morning we pass through ‘the Narrows’ and into the port of Stanley, the capital of the Falkland Islands. We say goodbye to our crew and after some free time to explore the town, make our way to the airport for our special charter flight to Santiago - Chile's stylish capital city. On arrival in Santiago our journey comes to an end. Onward regional and international flight connections may be possible this evening. Discuss the options with your booking agent. A transfer is provided to a downtown location for those choosing to stay and explore Santiago and the delights of Chile. ABOUT OUR ITINERARY: Polar exploration can be unpredictable. Specific sites visited will depend on prevailing weather and ice conditions at the time of sailing. The above itinerary should be read as a ‘guide only’ and may change. The ship’s Captain in conjunction with the Expedition Leader continually review the sailing plan throughout the voyage, making adjustments to the itinerary along the way to take advantage of optimal weather and ice conditions or to maximize our encounters with wildlife. Decades of experience spent exploring these waterways mean we have a large number of outstanding landing sites and Zodiac cruising locations to consider, even when the weather conditions may not be ideal or when heavy ice may hinder our planned route. A flexible approach is something we encourage you to bring to the ship.